Why it matters: If this sounds familiar, it's because Icahn tried preventing Dell from going private back in 2013, arguing that Michael Dell and private equity sponsor Silver Lake were undervaluing the company. 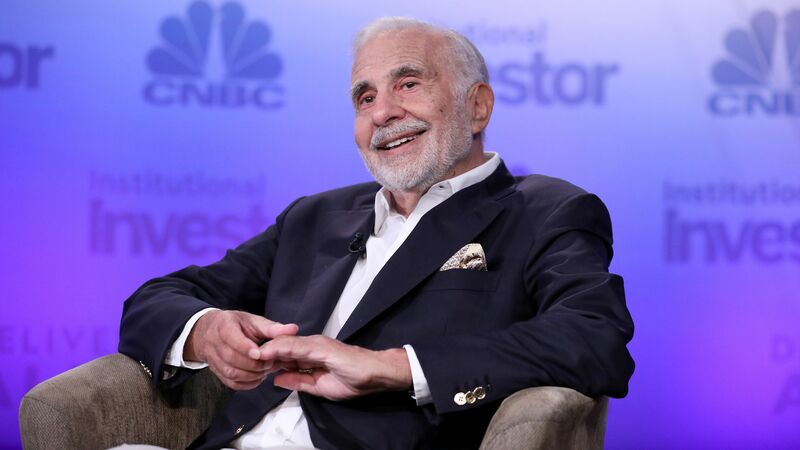 Icahn eventually relented after getting a small price bump and losing a Delaware legal battle, but seems to believe he has a better chance of prevailing this time because he's acting earlier and has the apparent support of several other large shareholders in the tracking stock. He's not only pledging a "no" vote on the reverse merger, but also floated his own bid for more of the tracking stock at a better price than what Dell is offering. This is a bit reminiscent of the public stub idea he tried out five years ago. The bottom line: Both sides are likely headed back to a Delaware courtroom. "I firmly believe Dell and Silver Lake are trying to capture $11 billion of value that rightly belongs to us, the DVMT stockholders. As such, I intend to do everything in my power to STOP this proposed DVMT merger...For the better part of the past year, Dell and Silver Lake worked to destroy the value of the Tracker by (1) raising the possibility of a Dell IPO, (2) floating the idea of a merger with VMware and (3) threatening a forced conversion of the Tracker into Dell common stock, among other tactics. These scare tactics are reminiscent of the tactics Machiavelli advised the Borgia rulers to use centuries ago." Michael Dell. Photo by Drew Angerer/Getty Images. Dell is returning to the public markets, five years after going private in a $25 billion transaction backed by Silver Lake. Why it's a big deal: Because Michael Dell originally took his eponymous company private, in large part, because of his growing distaste for public market short-termism. And while he says the reversal is partially prompted by a successful transformation enabled by Dell's private tenure (including its $67 billion EMC purchase), it also reflects the need to service a big debt-load and few viable buyers at its increased scale. It's a complex transaction that involves Dell and Silver Lake offering cash or shares to holders of a Dell tracking stock, valued at $21.7 billion, with financing coming via an $11 billion special dividend being issued by listed Dell subsidiary VMWare. This move comes after Dell had explored other options, including a pure IPO or reverse merger with VMWare. Dell says that it has cut its debt by $13 billion since closing the EMC acquisition, and that it generated $21.4 billion in GAAP revenue (+19%) and $2.4 billion (+33%) in adjusted EBITDA for its most recent fiscal quarter. More from the NY Times: "Not only does Dell still supply the machines that sit on the desks inside many office buildings, it has also found a ready market selling equipment and software to the kinds of networked computing services that were once thought to spell its end."